Wahoo for Art! : Brrrrrr! Penguins!! 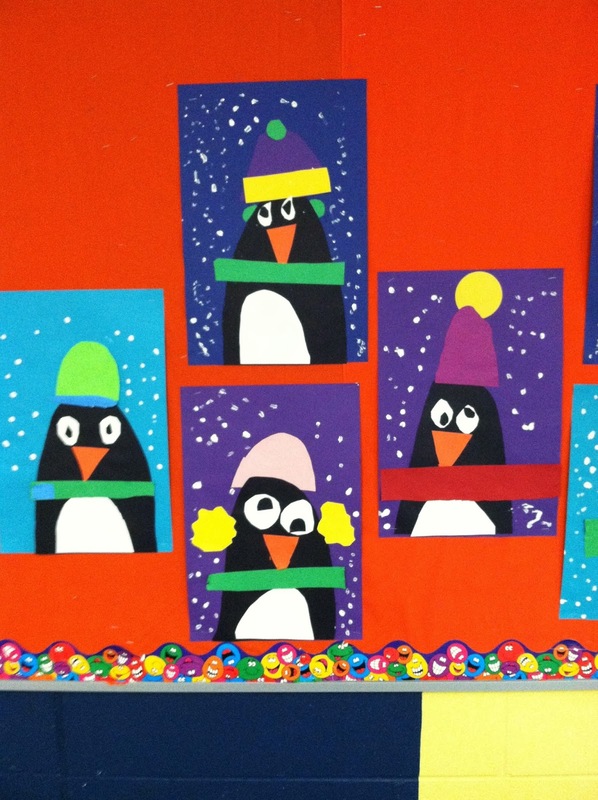 The first grade class created these fantastic penguins this week, just in time for the cold weather to hit. It is COLD outside, so we need to bundle up. I love these inspiration pieces from Mrs. Anderson's Art Blog. 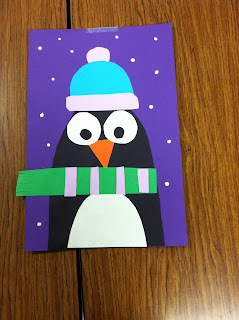 We started by creating arch shapes for the body and tummy of our penguins, and used the black and white scraps to make eyes. Add an orange beak and some cold weather accessories, and we're all set for a blustery December. The perfect final touch on these guys was to stamp some snowflakes with a q-tip, and sprinkle the wet paint with sparkly glitter.